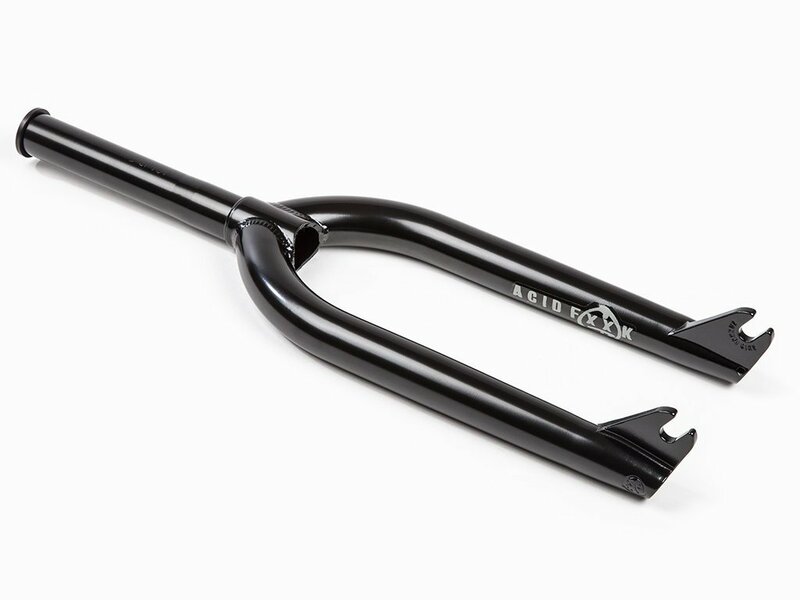 This BSD "Acid V2" BMX Fork is a high quality and stable street fork which is made from heat treated 4130 CrMo. 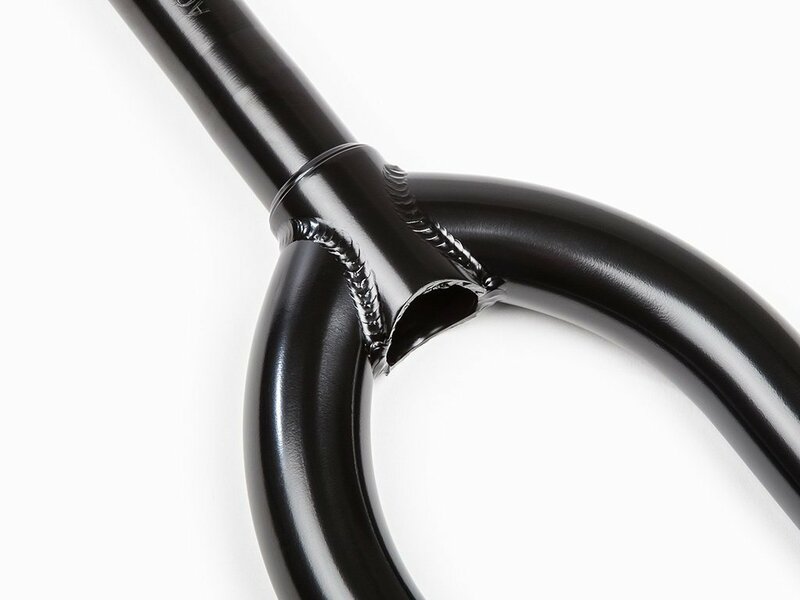 The 160mm long and CNC machined steerer is made of one piece and has an integrated bearing race which ensures minimal installation effort. 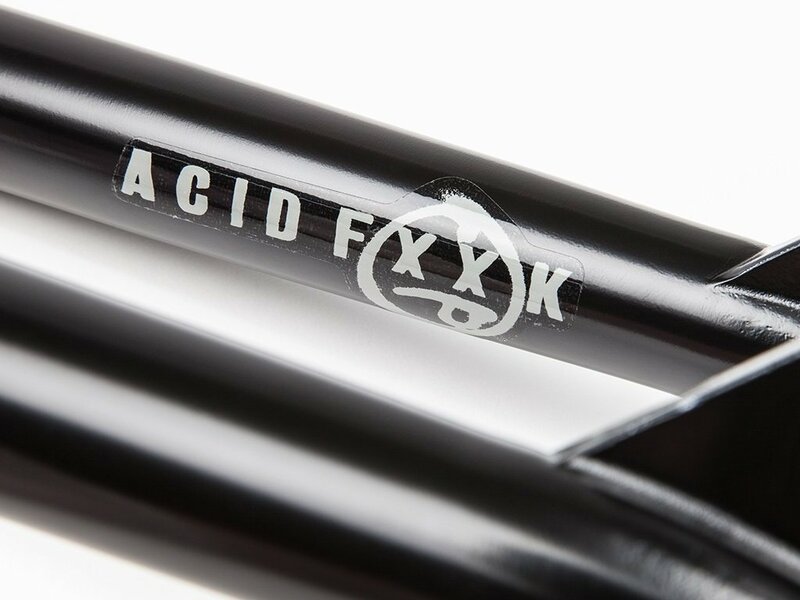 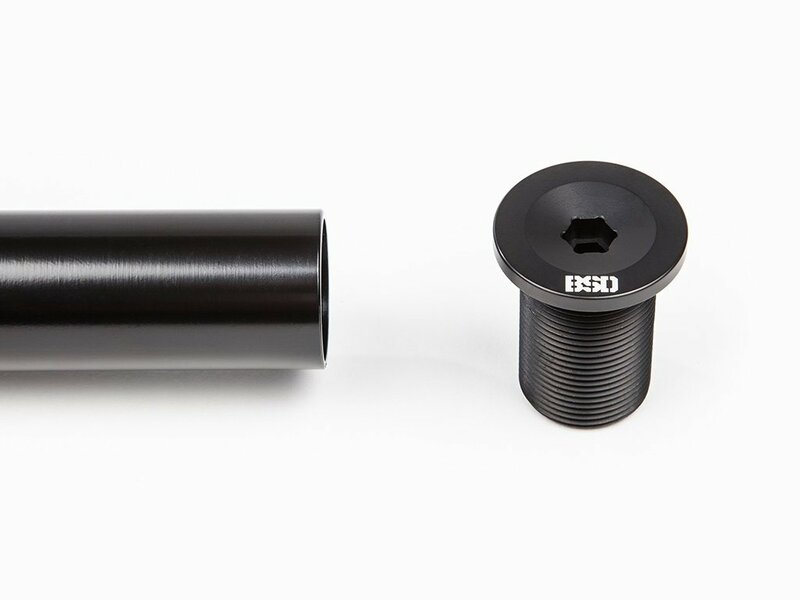 The fork arms of the BSD "Acid V2" BMX Fork are butted and tapered downwards to the very stable 6mm thick investment cast dropouts which have a offset of 30mm. 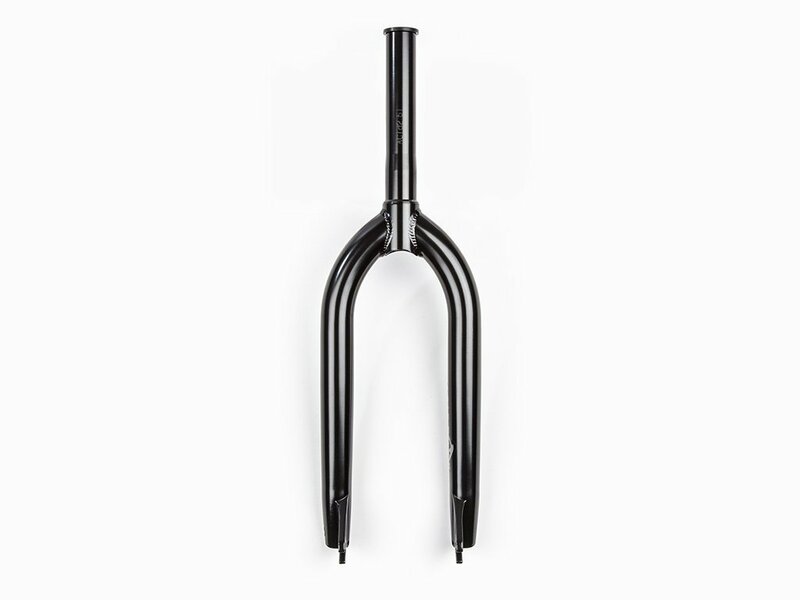 The design of this fork offers space for pegs but also for fat 2.4" tires and thanks to the selection of the best materials and modern manufacturing processes BSD provides you here with a very high quality and stable street fork including an aluminum top bolt.